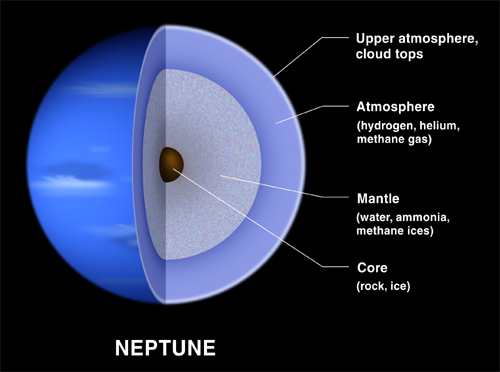 [/caption] The density of Neptune is 1.638 g/cm3. Just to give you some comparison, the density of water is 1 g/sm3. In other words, if you had a bathtub big enough, Neptune would sink into it. This is different for Saturn which has a density of less than 1. While Neptune sinks, Saturn would float. … Continue reading "Density of Neptune"